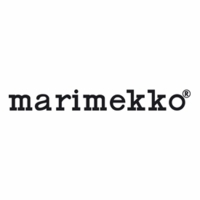 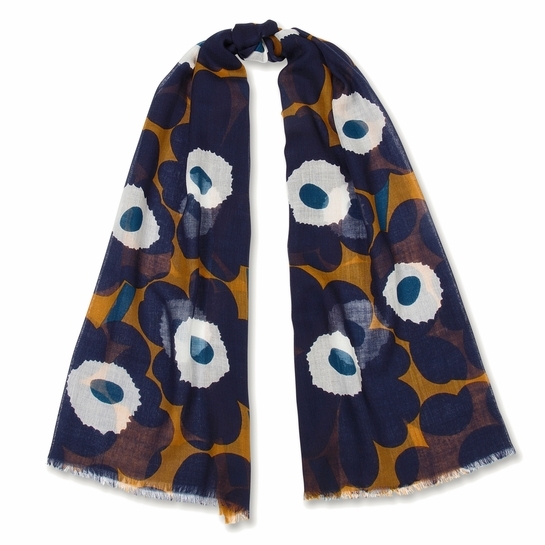 More about Marimekko Unikko Ochre / Navy Fiore Scarf The Marimekko Unikko Fiore Wool Scarf is a versatile accessory; it can be worn a number or ways, with many outfits, and during different seasons. 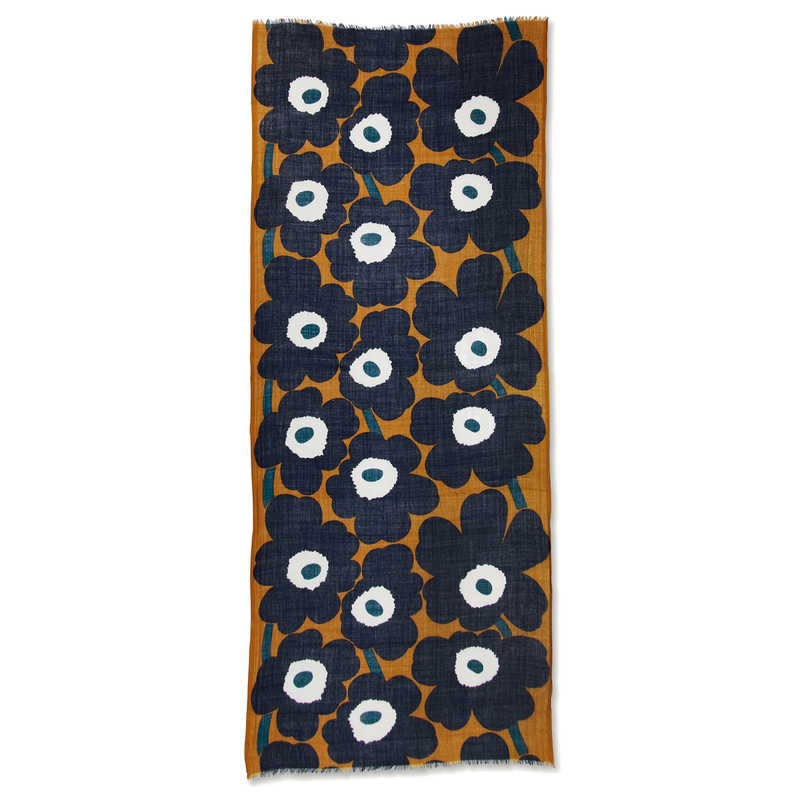 Maija Isola's iconic print wears rich shades of ochre, navy, and-off white on soft and sheer 100% wool. 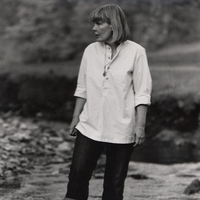 Raw edges give it a cozy and casual look, no matter how it's tied.